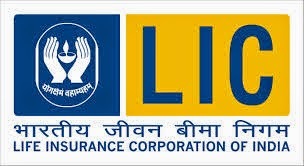 The Life Insurance Corporation of India (LIC) has started a recruitment drive to shortlist eligible candidates for the post of Assistant Administrative Officer – AAO (Generalist) post. Interested candidates can apply through the official website of the LIC. The recruitment process is set to begin soon. The minimum age of the candidates as on December 1, 2016 should be 21 year while the maximum age should be 30 years. The age relaxation limit for the SC/ST category is five years, three years for OBC category, 10 years for PwD (General) category, 15 years for PwD (SC/ST) category and 13 years for PwD (OBC) category. Other age relaxation rules are as applicable. All candidates are required to be a either a graduate or a post-graduate from a government recognised institution or university. Process of selection:Candidates will be selected on the bases of an exam held online, followed by an interview round.